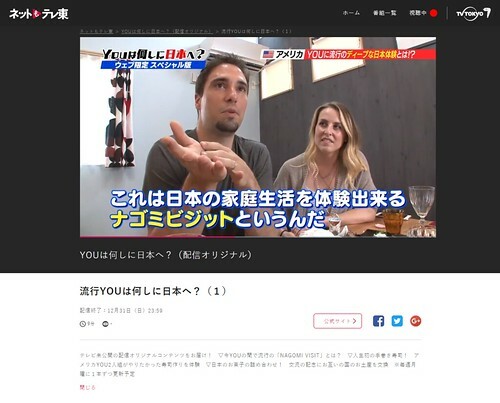 One of Japan's most popular television shows "Why did you come to Japan" contacted us to be one of their episodes. You will be able to see their clip online until March 31st, 2018. Just as the title of the show suggests, it follows tourists coming to Japan who go on unique not so touristy journeys. Arigato to those who reached out to us to be a part of the show, and also to the hosts who saw the episode and decided to become hosts.